Tooth misalignment, no matter how minor, can lead to serious dental issues if left untreated. However, many people hesitate to begin treatment due to the physical discomfort of metal braces. As a result, people often look to “adult braces”, “invisible braces” or “clear braces” as an alternative option to teeth straightening. This option is better known as the Invisalign braces treatment. We offer a free 30-minute Invisalign consultation where you can be assessed by our doctors and have all your questions answered! Why wait? Contact us or visit our Toronto location today. How Does Hullmark Invisalign Work? When you begin your Invisalign treatment, your dentist will take photos and impressions of your teeth. This is done using a 3-D model of your mouth at every stage of the process, up to the final stage when your teeth will be positioned. These models allow the dentist to create a precise treatment plan, resulting in custom braces known as “aligners”. This is done using technology provided by Invisalign. There is a reason why this treatment is occasionally referred to as “invisible” or “adult” braces. 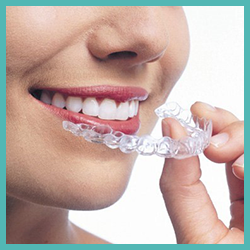 Our Invisalign clear aligners are exactly that, clear. They fix misaligned or crooked teeth by slowly and gently moving them to the correct position. This is a discreet way of teeth straightening without the headache, pain and embarrassment of traditional braces. Little by little, they will reach the desired position. 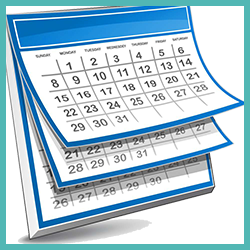 “How long does Invisalign take?” is a common question asked by most patients. 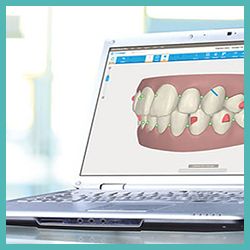 Our system uses a series of invisible trays, which you will change every week. Treatment is different for each patient, but most wear Invisalign aligners for 10-12 months. The trays can be removed for those everyday actions such as eating and flossing, making it easier to enjoy your life while your Invisalign braces straighten your teeth. During your treatment you will meet regularly with your Invisalign dentist to discuss your progress and receive your “invisible braces”. We at Hullmark Dental are committed to putting any and all of your worries at ease, answering any questions you may have regarding the treatment. We will be your Toronto guide to the perfect smile that you deserve, starting with a free Invisalign consultation. 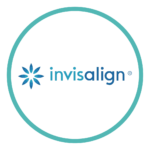 The price of Invisalign braces varies depending on the severity of the alignment your teeth require, as well as the number of aligners needed for the treatment. Coupled with our free consultation, we also offer affordable payment plans to all of our patients. Hullmark Dental will give you a fair transparent quote, no gimmicks! 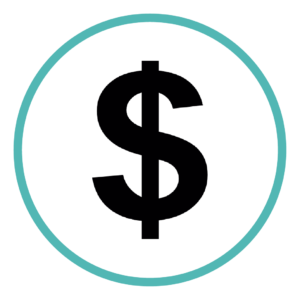 When estimating the cost of our Invisalign treatment, we like to include Vivera retainers to make sure that our patients protect their investment. Studies show that without retainers, teeth will gradually shift back to their previous positions. Not only is this the case for metal braces, but Invisalign braces too. 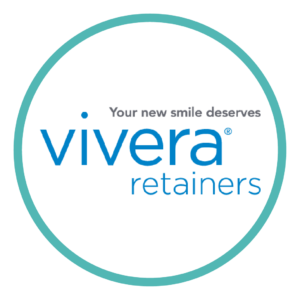 Avoid risking your new perfect smile, ask us about Vivera retainers.